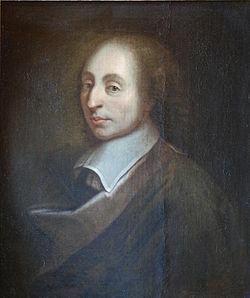 Of course, Messrs. Pascal is teaching us a lesson about the consequences of belief in God (and more specifically, the saving work of Jesus Christ) and how it is ultimately logical. It is used quite often as an apologetic for the Christian faith, or, at least, an inducement for atheists and agnostics to consider the claims of the Bible. Pascal’s Wager reminds us, very poignantly, of our tendency to not prudently consider the consequences of our decisions in relation to the possible outcomes. Interestingly, it can also be applied to retirement stewardship. “Well, that’s certainly a bit of a leap”, you might say, but please bear with me on this. Yet we know that not all will be blessed with long life, and that can be a great mystery to us. We must let the explanation for that remain hidden in the deeper mysteries of the sovereignty of God. If you live longer than you “planned” and fail to invest and insure accordingly, you may face a much less favorable outcome. The consequence of this choice (running out of money) outweighs the likelihood of the potential outcome (living longer). Ultimately, retirement stewardship is all about faith and longevity risk management. Faith in that we trust in God’s wise sovereignty concerning our preordained lifespan and his ability to provide for us for as long as we live. Risk management in that we should do what we can to reduce the likelihood of an unfavorable outcome in terms of our financial preparedness, which results in an unfavorable consequence (dependency on others). The risk that we face in retirement is brought about by uncertainty. But it is we who are uncertain about the future, not God. So, in terms of the choices we must make, both risk and uncertainty apply. Some risk is quantifiable, uncertainty is not. Uncertainty arises from our imperfect knowledge of when certain things will happen and why they will happen. Most importantly (and this gets into the investing area as well), uncertainty relates to questions about how to deal with the unexpected or even the unprecedented and whether things will be tomorrow as they have been in the past. It’s also important to understand that we may “calculate” risk in terms of probability of an outcome, such as with rolling a pair of dice. Uncertainty, however, is more of a condition typified by the lack of sureness about something and is highly subjective and, therefore, not quantifiable. Risk and uncertainty may influence each other but they are not one in the same. Absent of any plain facts to the contrary, belief that God will grant you a long life is a wise wager. Granted that we cannot know for certain what our lifespan will be, what harm will come to you if you gamble that it will be long and that proves false? If you do, and live a long life, you gain much; if you do not live that long, you lose little as compared to what you would have gained. Wager, then, without hesitation, that you will live a long life unless you have very reliable knowledge to the contrary. So, I would say that Pascal’s Wager provides us with some very wise advice when it comes to retirement stewardship, just as it does in the consideration of things with more eternal consequences.